Sew what's cooking with Joan! 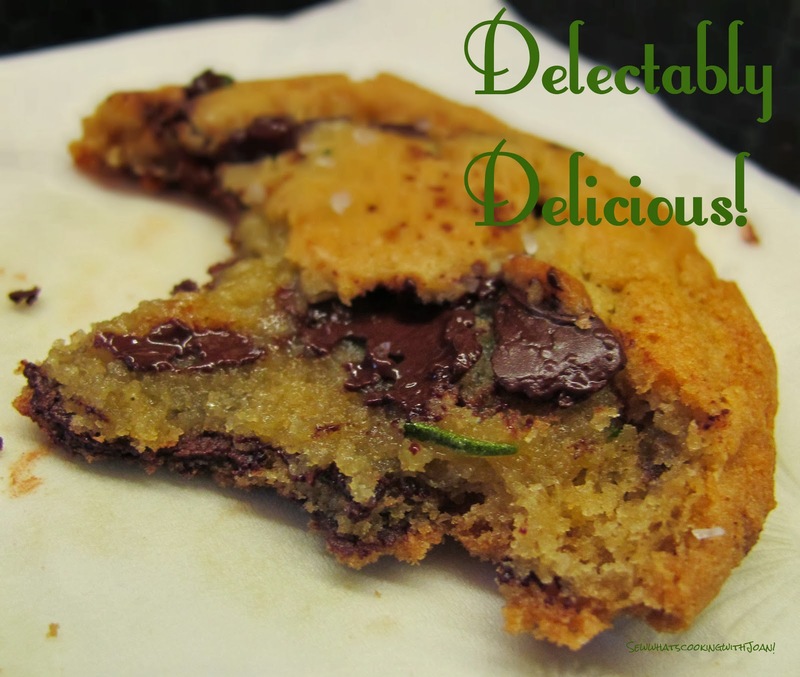 : Rosemary infused Chocolate Chip cookies with a sprinkle of Sea Salt! 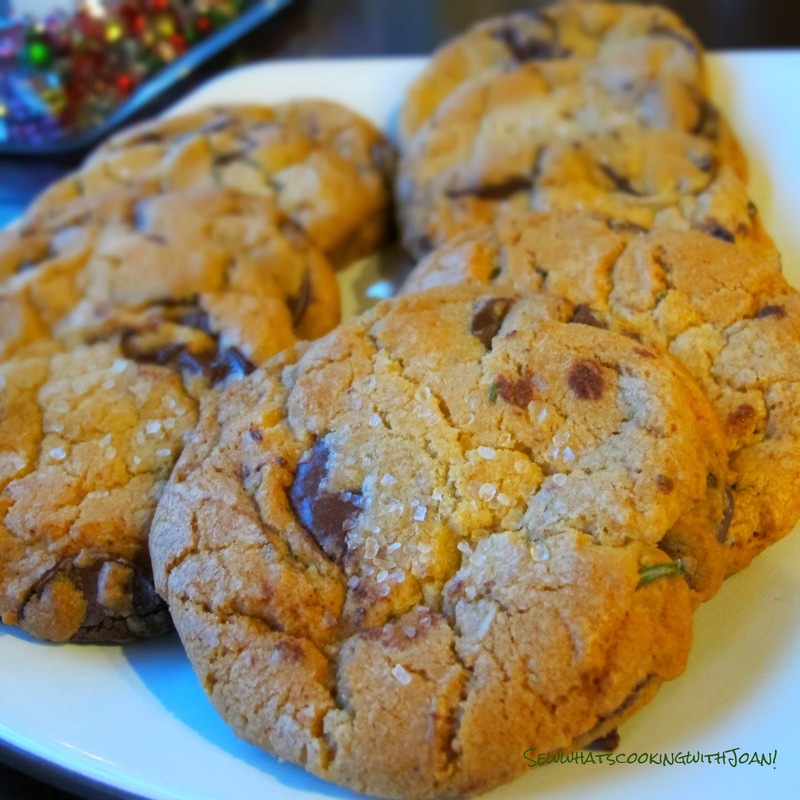 Rosemary infused Chocolate Chip cookies with a sprinkle of Sea Salt! My inspiration for this recipe came from a wine tasting/pairing that Wee Bear, TT, Amy, Holly, Nate and our little Madison Lee went to before Christmas. 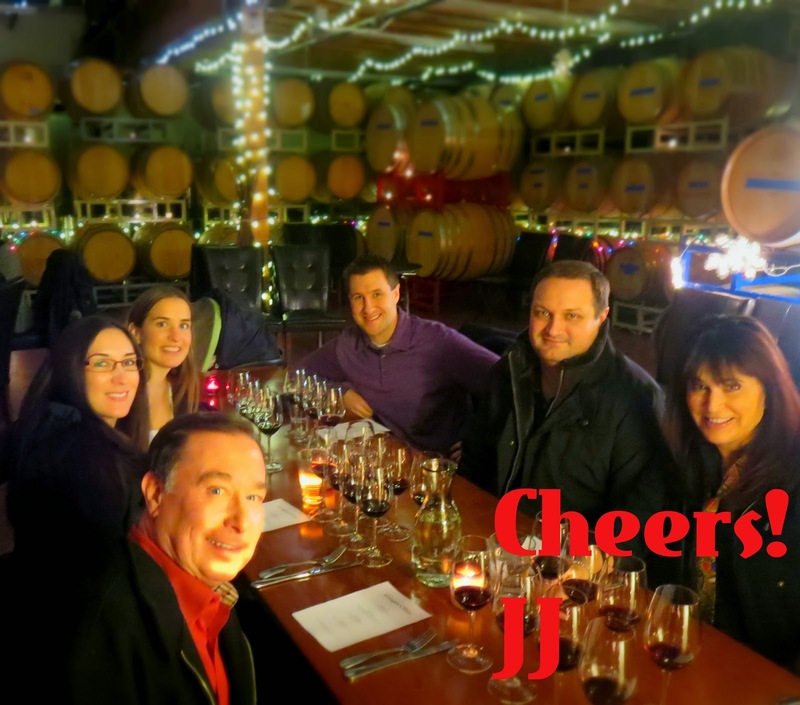 I arranged an afternoon in the Covington Wine Cellar that included a tour with winemaker David Lawson, barrel samples, a flight of four wines and food pairings. 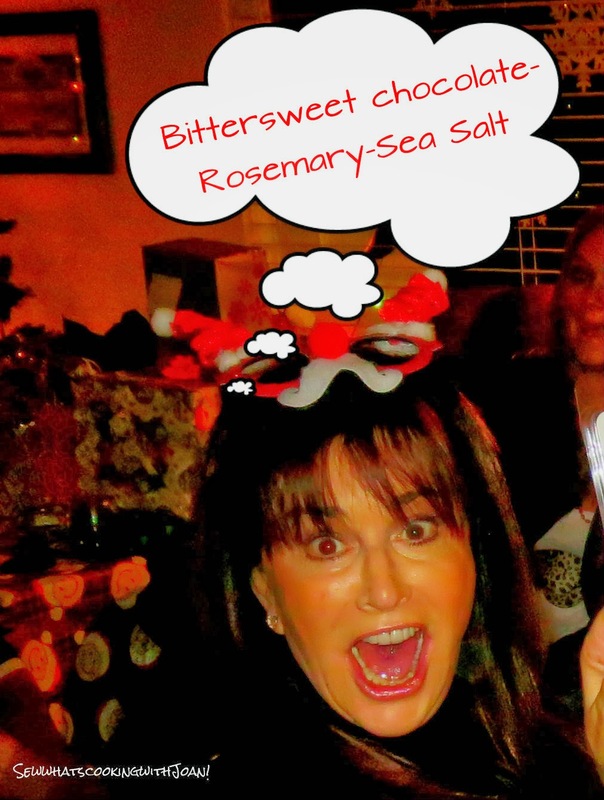 On the menu at the cellar was something that really caught my eye......Chocolate Chip Rosemary Cookies. Now, the cookies that Chef Bergstrom made for us, had just a sprinkle of rosemary on the top, but, it got the wheels turning in my head! This is not your grandma’s or your mom’s chocolate chip cookie...this is JJ's Rosemary Chocolate Chip And Sea Salt Cookie! This recipe could very well be my favorite! In a stand mixer fitted with the paddle attachment, cream butter and sugars until very light and fluffy, about 3-5 minutes. Add the eggs, one at a time, mixing well after each addition. Mix in the vanilla. Scrape down the sides of the bowl as needed. Reduce the mixer speed to low, then add dry ingredients and mix until just combined. Add the rosemary and chocolate wafers and mix briefly to incorporate. Press plastic wrap against the dough and refrigerate for 4 hours to 36 hours. This is key! This is where my fresh rosemary infuses into the cookie dough. The longer you refrigerate, the more the rosemary infuses into this heavenly cookie dough. When you’re ready to bake, preheat the oven to 350°F (175°C). Remove the bowl of cookie dough from the refrigerator and allow it to soften slightly. Line a baking tray with silpat or parchment paper. 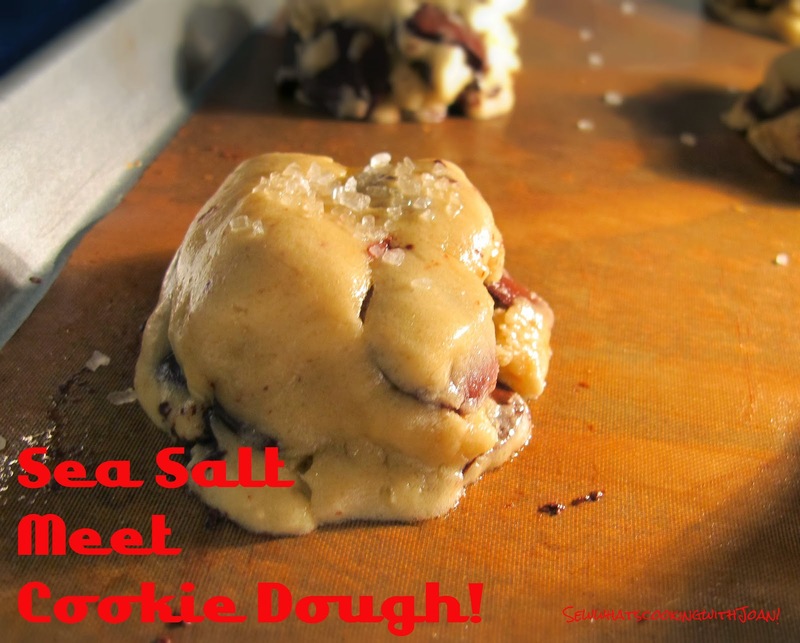 I use a ice cream scoop to scoop mounds of dough onto the baking sheet, spacing them evenly. Sprinkle lightly with sea salt and bake until golden brown but still soft, about 15-20 minutes. I have many favorites when it comes to Chocolate chip cookies! if you follow my blog, you have seen Extreme Chocolate Chip Cookies, Chocolate Chip Cookie Dough Cookies, Tink's Chocolate Chip cookies and Lactation Chocolate Chip Cookies by Tink! 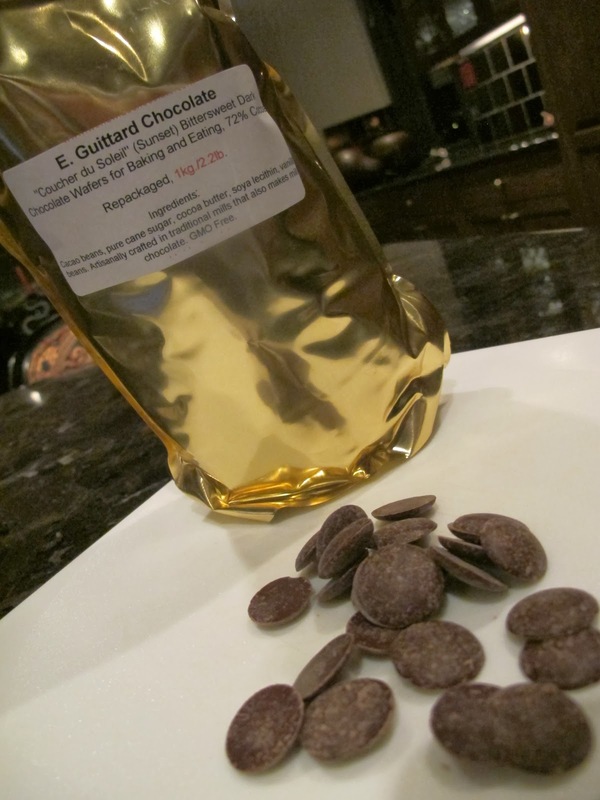 All of which have a different variation's of ingredients, but have one thing in common...........CHOCOLATE! These are over the top delicious!